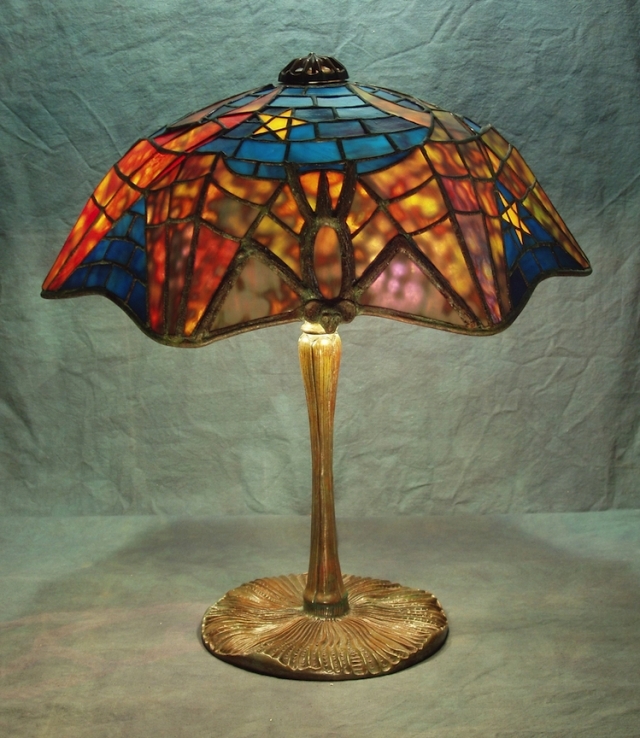 Especially appropriate at this time of year, the 17″ Bat shade is one of Tiffany Studios more unusual lamp designs. The shade features three overlapping bats flying against a night sky. The cast bronze bodies, heads and “arms” of the bats give the shade a three dimensional look. 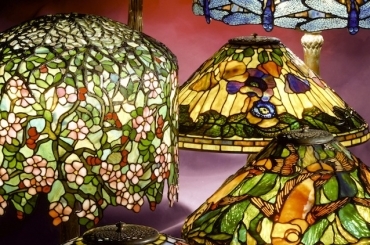 This example was commissioned in 2006 and is shown on the Mushroom base.